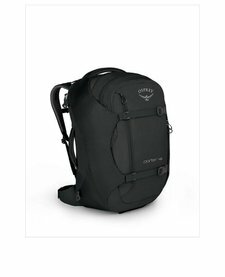 When you’ve got an international plane ticket and are travelling with a pile of gear, enlist the aid of Osprey’s Shuttle 100L/30" to roll your gear to the ends of the earth. 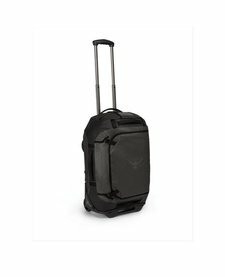 Made of bombproof ballistic nylon fabric, this wheeled duffle boasts over 6,000 cubic inches of carrying capacity. 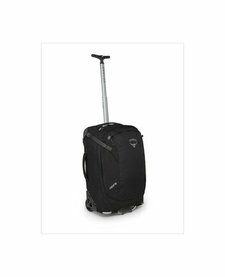 The bag rolls on extra-large, sealed-bearing wheels. Osprey’s extra wide HighRoad chassis has a tough ABS plastic base laced with aluminum stays to create a stable backbone for heavy loads. 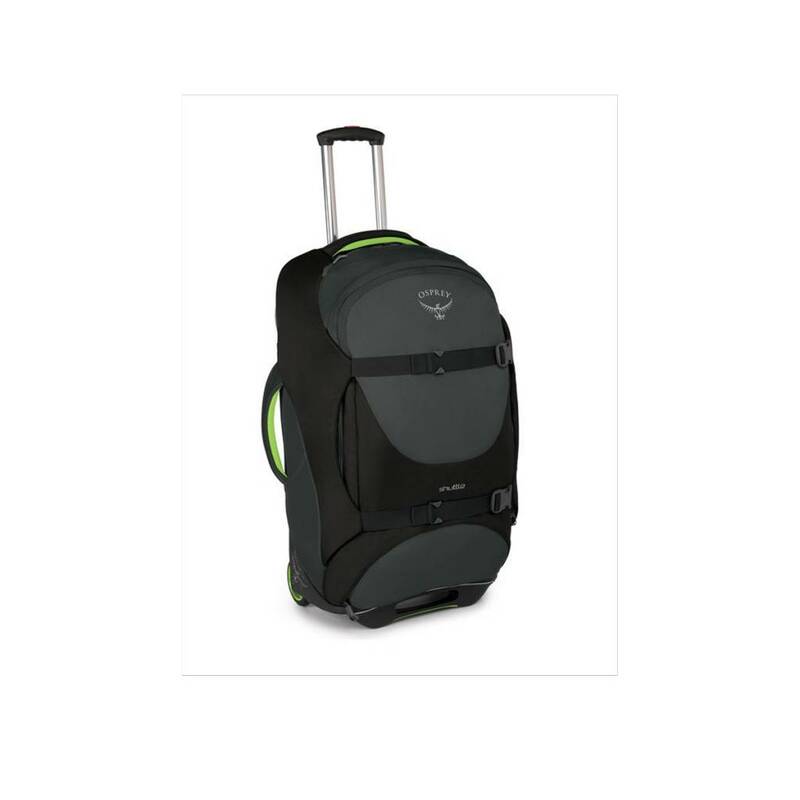 StraightJacket compression, padded sidewalls, and multiple exterior bumpers protect your gear. Open the panel zipper to access the voluminous main compartment. There you’ll find a series of inner storage pockets lining the periphery. There’s also a collapsible zippered lower compartment to confine dirty laundry. 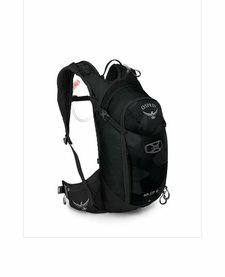 Exterior features include padded carrying handles, a top zippered pocket for quick access to small items, and a large zippered panel pocket with a drain port for damp storage. There’s also a dedicated tablet/magazine pouch for easy access to long layover entertainment. The internal ID card holder helps return the Shuttle 30 back to you should it go astray while making a tight connection between Atlanta and Lima.